We’ve been busy with bringing Elasticstack integration into full shape with the Icinga 2 feature and the corresponding Icinga Web 2 module. Both of them were thankfully funded and sponsored by VW. Elasticsearch 6 support is sponsored by a customer too, this will hit 2.9 later in June. 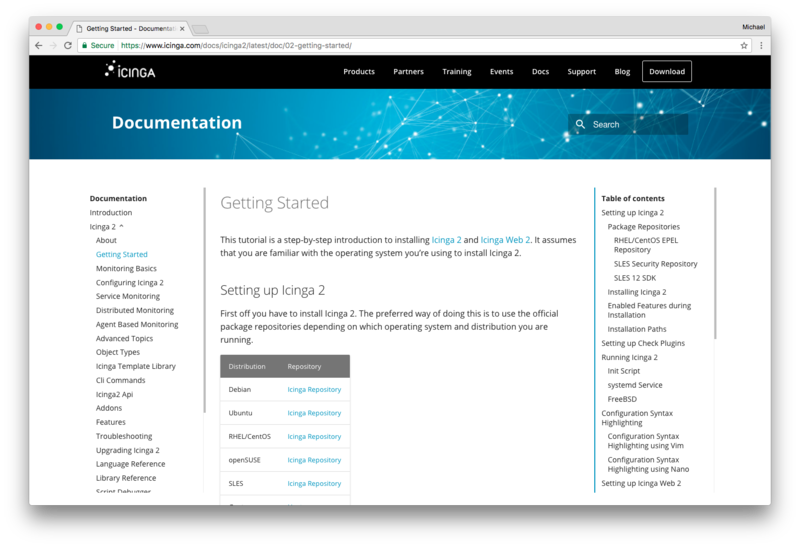 Earlier in 2017 we’ve also released the Logstash output for Icinga. Another integration is Graphite. 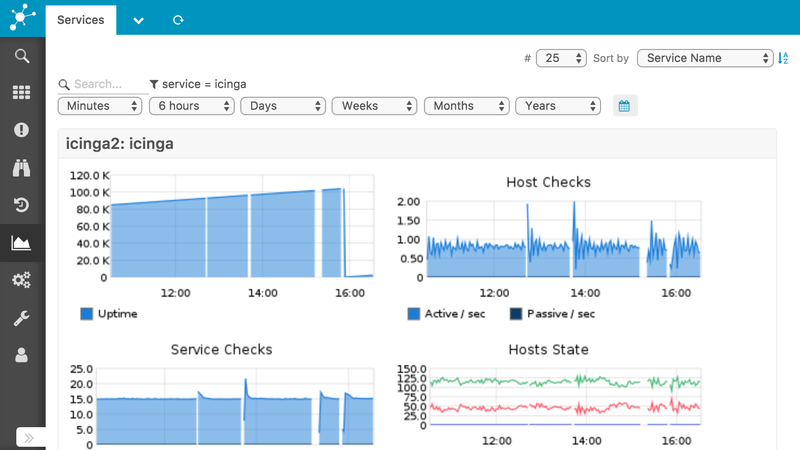 Shiny metrics available for problem analysis and correlation directly integrated into the host/service detail view in Icinga Web 2 are now a breeze. There’s also a feature rich template language available which makes customization a breeze. And in case you’ll need an overview dashboard, that’s the icing on the cake. 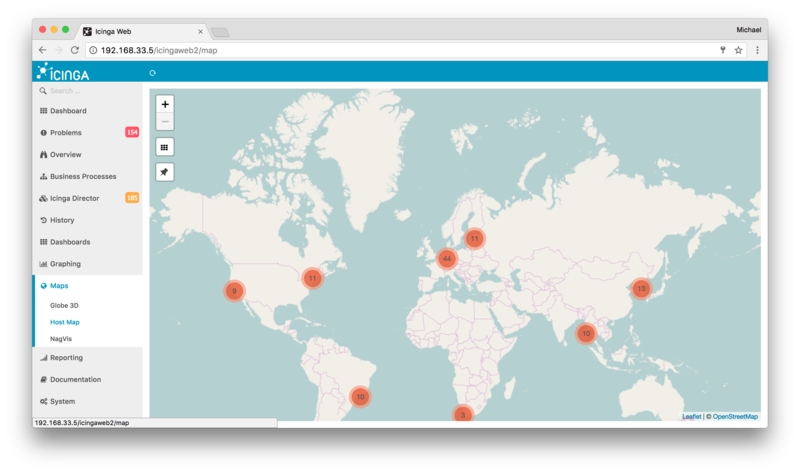 You’ve probably heard about NagVis already, this time we are putting our focus on a fresh Icinga Web 2 module called “map“. Nicolai started his work after joining us in Berlin for Icinga Camp.